Discover the stories behind Calvary's clients || Independent Living Unit resident Father Kerry adds a bit of colour to the Calvary community. 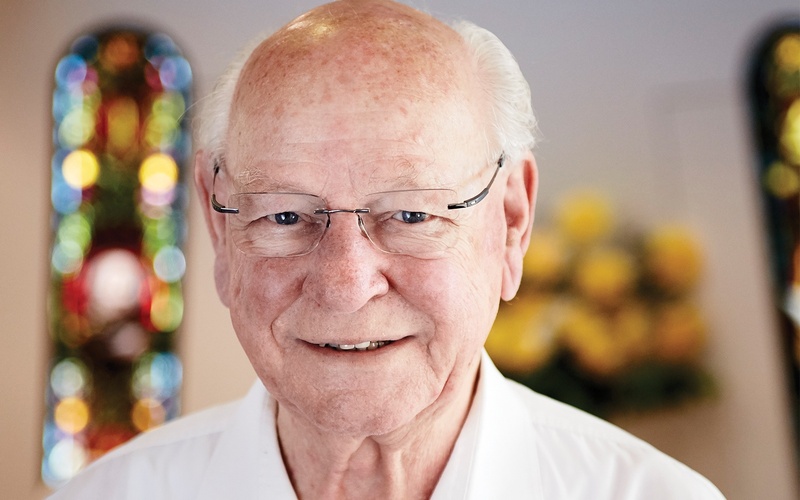 After 55 years as a priest working in parishes in the Archdiocese of Sydney, Monsignor Kerry Bayada now calls his Independent Living Unit at Calvary Ryde Retirement Community home. Father Kerry, as he is affectionately known, describes his new surroundings as "a very happy community." He has planted "some orchids, hydrangeas and petunias, to get a bit of colour around the place," and has immersed himself in the social, faith and community activities at Calvary Ryde. To learn more about Calvary's Independent Living Units or to book a tour, call us on .